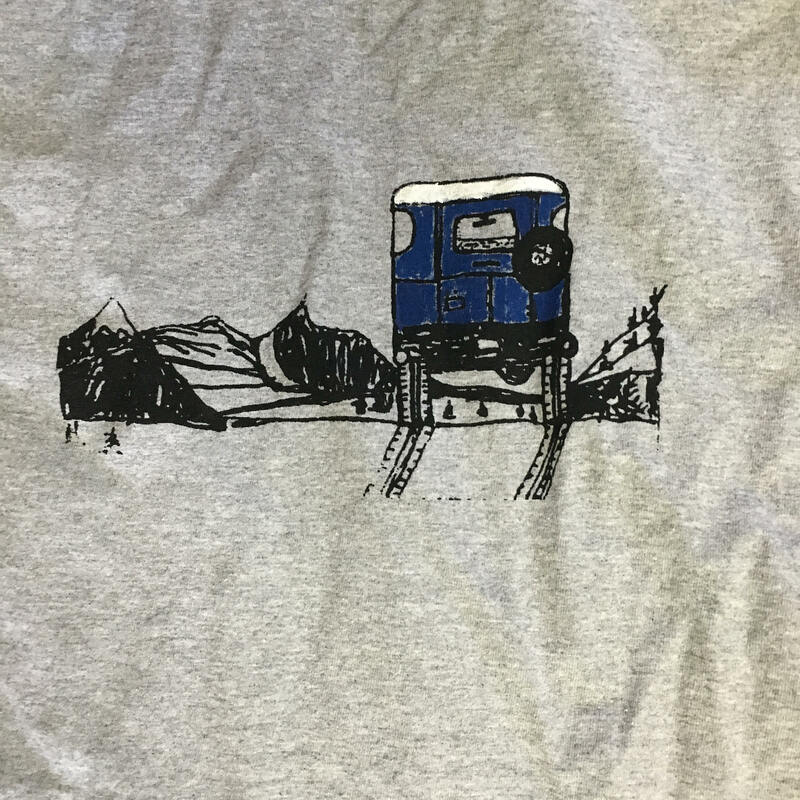 On the front of this Grey shirt is a Screenprint of a drawing of a 40 series Land Cruiser in a landscape, with water based ink. The black is screened, the white and blue is hand tinted. 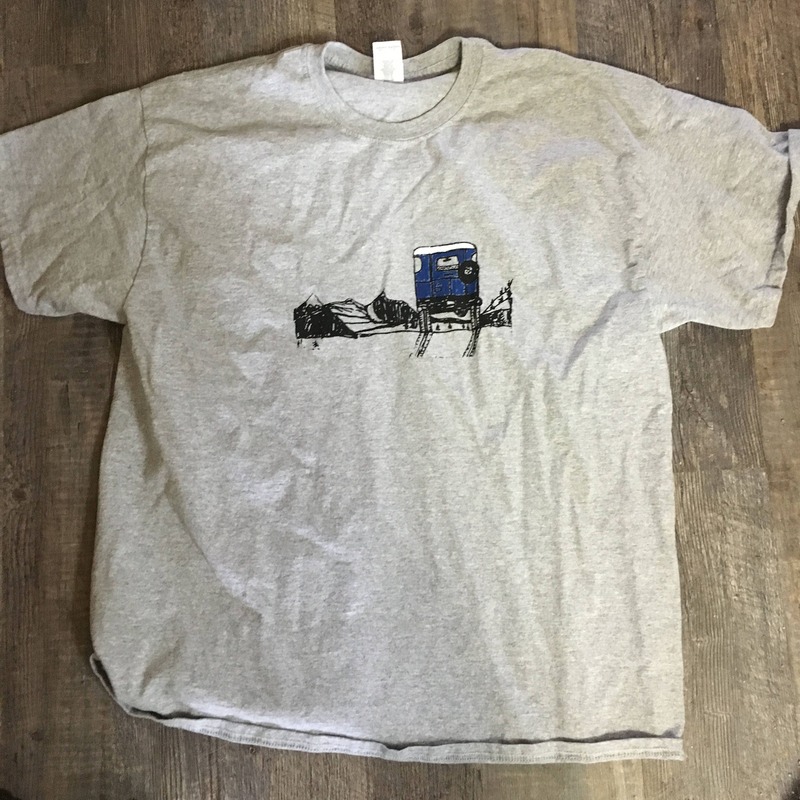 The size is Adult , it is a Gildan brand, 90% polyester, the weight is 6oz.